To copy and paste documents to the clipboard, you would usually have to select the file contents and then press the Ctrl + C shortcut key. However, with a few registry tweaks you can add an alternative Copy Content to Clipboard option to the Windows XP/Vista/7/8 context menus. Then, when you right-click a document or file or folder or icon, you can select Copy Content to Clipboard to add copy it. For this example, I’ll be adding the Copy Content to Clipboard shortcut to the .txt context menu (HKEY_CLASSES_ROOT\txtfile\shell). You do exactly the same for any of the other alternative file types. 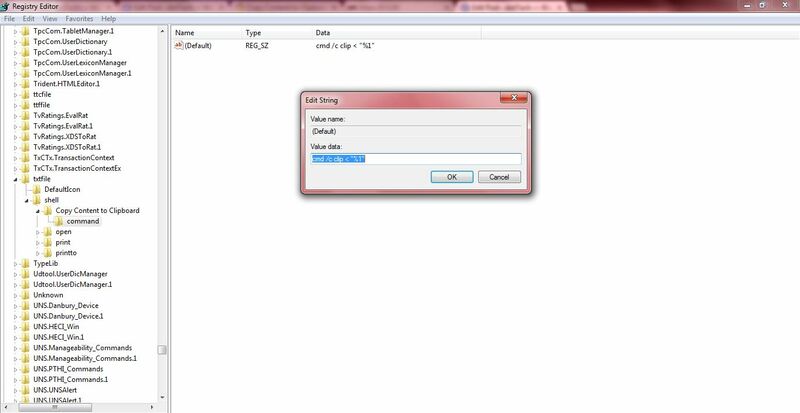 Right-click on shell, click New > Key and input the title Copy Content to Clipboard for the key title as in the shot below. Then you should right-click the right pane of Copy Content to Clipboard, and select New > String Value to add a new string. Add Icon as the new string’s title, right-click it and click Modify. 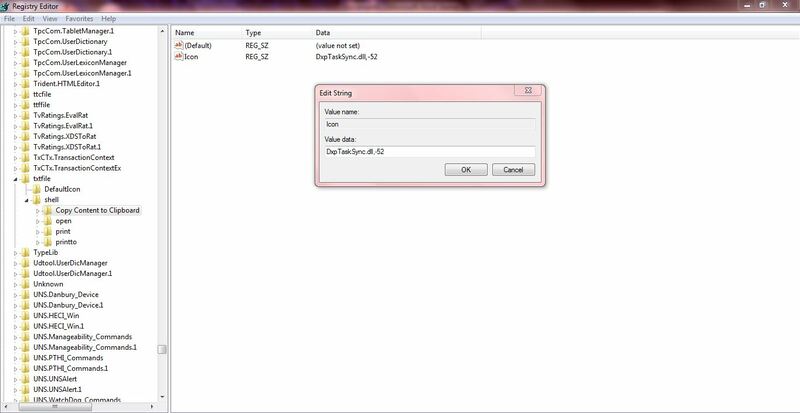 That should open the Edit String window where you input DxpTaskSync.dll, -52. Next you should right-click on the Copy Content to Clipboard key in the left pane, and select New > Key. Input command as the new key’s title. Then right-click Default in the right pane of command, and click Modify to open the Edit String window. There you should type cmd /c clip < “%1”, and click OK to close the window. Now close the registry. Find some .txt files and right-click on one of them. 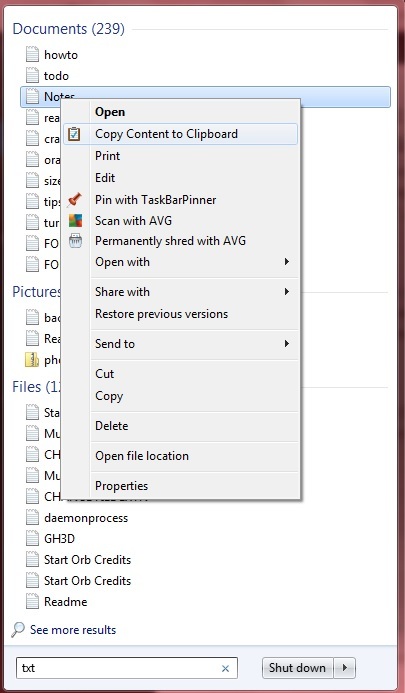 Then there should be a Copy Content to Clipboard option on the file’s context menu as below. Click on that option to copy it to clipboard, and then open a word processor application and press Ctrl + V. The content of the .txt document should be pasted into the word processor document. You can add the Copy Content to Clipboard option to a variety of other document files in much the same way! To remove the option, delete the Copy Content to Clipboard key you added from the registry.